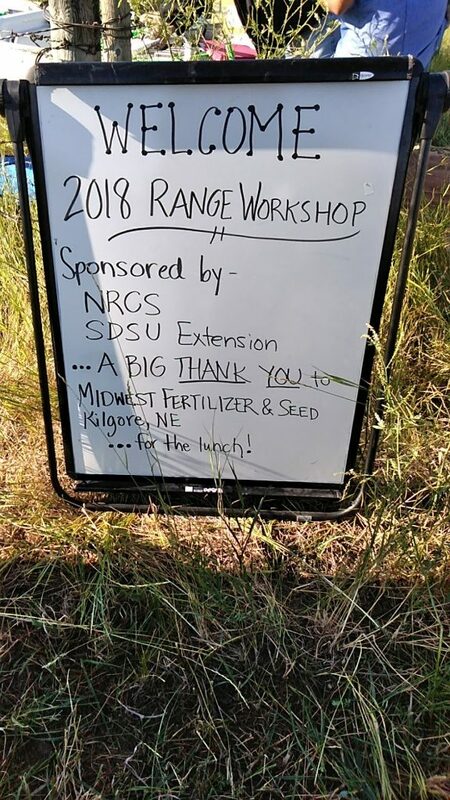 This is my third year volunteering at the annual Range Workshop. 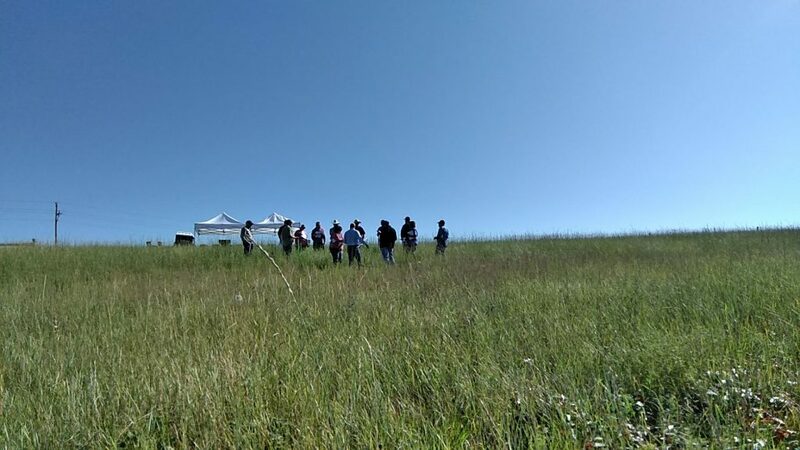 People from NRCS, USDA, and SDSU Extensions office come together to give knowledge on the diverse grasslands that make up the prairie. 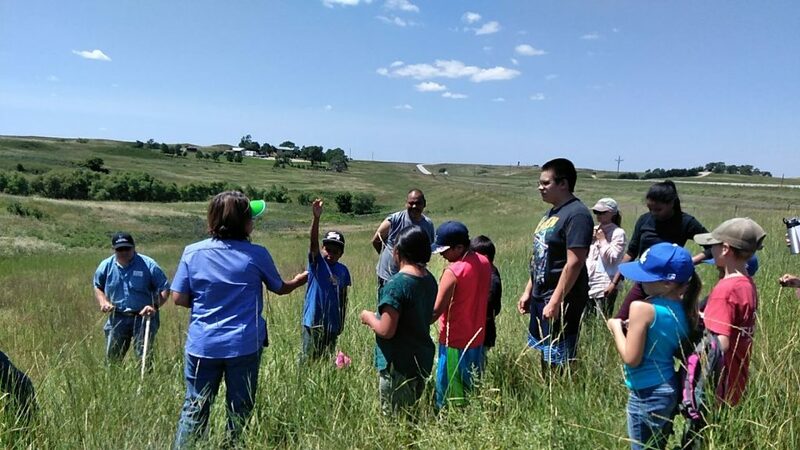 We identify grasses, forbes, and shrubs that grow on the rosebud reservation. It is a very important workshop I think because when we educate people on the importance on diverse plants we can help protect the health of the soils and eliminate erosion. We help identify foods and medicine that is available at no cost for everyone. NRCS rain tested different types of soil using a tool which allowed them to hold two different types of soil and then pour water over it. It showed us how much water and nutrients soil could lose if not properly managed. We held two different workshops that day, one in the morning and the other was in the afternoon. 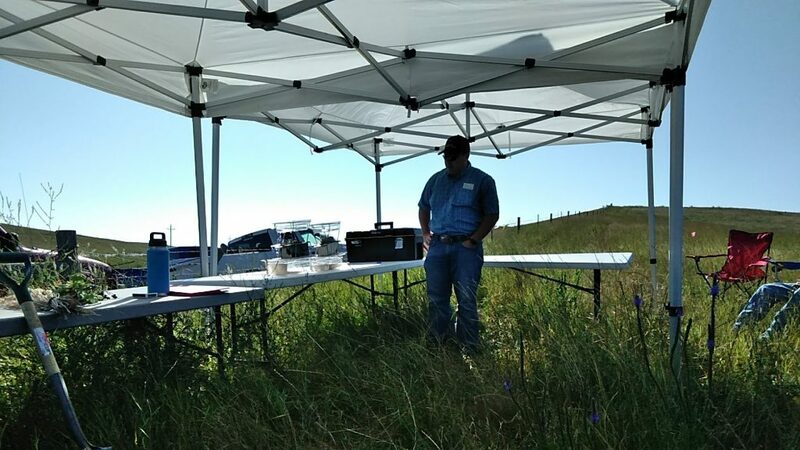 The morning workshop was an adult workshop which went more into depth of soil health and management. The afternoon workshop was a youth workshop which was basic information on many of the plants that grow around us. We had chokecherry jelly, hosehip jelly, and dandelion jelly for the youth to taste. We work very closely to Mission Boy and Girls Club, so it was very exciting and fun to work with some of the same kids as the cooking classes.